Vice President, Jae Sung Lee (center) is posing for a portrait with the recipients of 2016 Samsung HumanTech Paper Awards and their advisors at the award ceremony, took place on Feb. 18th, 2016. On February 18, the award ceremony for the 2016 Samsung HumanTech Paper (HTP) Award took place in the main conference room of the UNIST Main Administration Building. 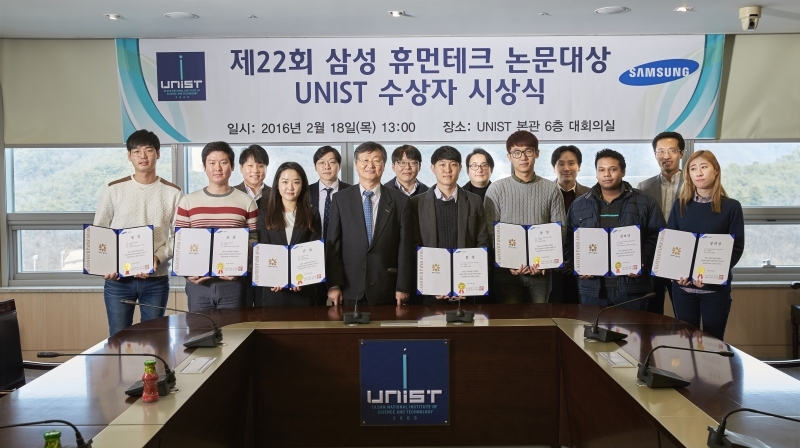 The ceremony was held to acknowledge seven deserving engineering students at UNIST for their scientific contributions at the 22nd Samsung HTP Award contest. Among the many eminent individuals, the following seven graduate students won prestige for their latest research in their respective fields, listed below. Current statistics indicate that this is the fourth largest number, following KAIST, Seoul National University, and POSTECH. 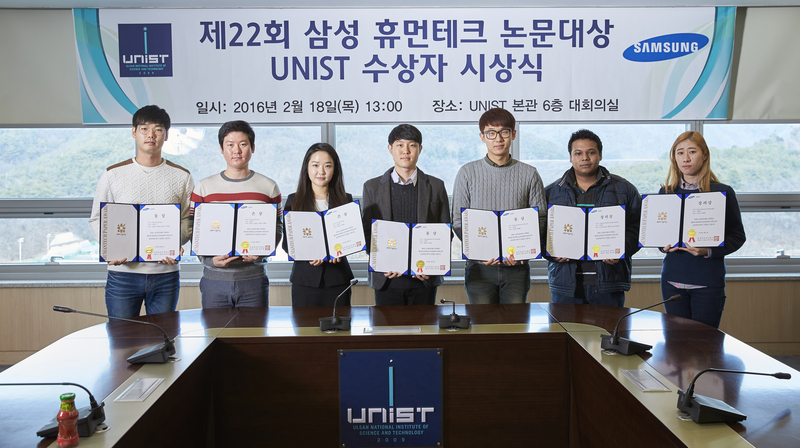 Recipients of the 2016 Samsung HumanTech Paper Award. Moreover, among the seven award recipients, Atul Rahman stands out, as he is one of the only two international students in South Korea to receive the award, this year. The interview with Rahman can be accessed HERE. 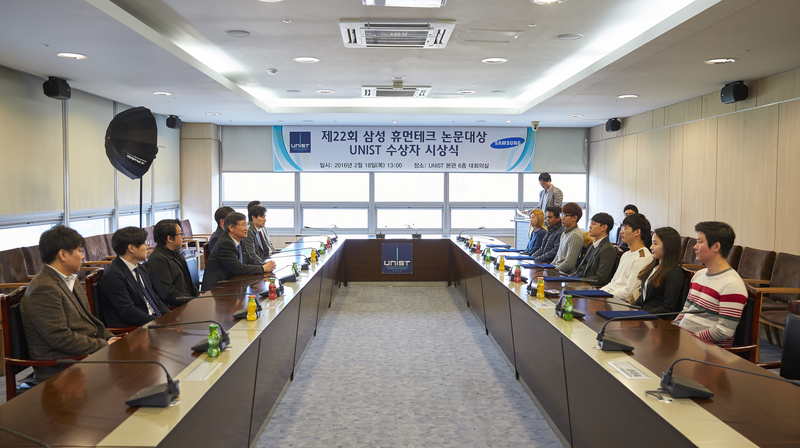 The Samsung HTP, sponsored by the Samsung Electronics Co., Ltd., recognizes an elite cadre of creative young researchers who through competition have demonstrated excellence in research. Each year, over 1,500 papers were submitted, yet only a small percentage of papers are selected to receive this prestigious recognition. In this year, out of 2,105 excellent papers considered from high schools and universities, only 119 papers were selected to receive the awards.